When a food shortage cripples the Republic of Enshi, starving citizens rebel. Kai Ming, a lowly government commissioner, doesn’t just want to help people and end the food crisis—he considers it his duty. So it’s painful to watch as Magistrate Alber bungles an announcement of further rationing in front of a restless crowd. And when desperate people don’t get what they want, they rise up and take what they can get—consequences be damned. 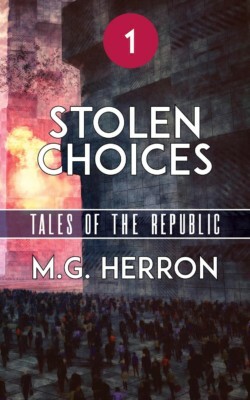 STOLEN CHOICES is the first episode of Tales of the Republic, an action-packed dystopian series set in a speculative near future. Grab the first installment and begin the adventure today!